Madurai is one of the oldest cities in India situated in the southern state of India. It is the third largest city in Tamil Nadu. This city is known for its food, architecture, temples, culture and is popular as a pilgrim and tourist destination. You can visit places like Meenakshi Amman temple, Thirumohoor Kalamegaperumal Temple, Aayiram Kal mandapam, Kultladampati falls and many more. It is home to various educational universities like Madurai Kamaraj University, Thiagarajar College, Madura College, American College, Madurai Law College and so on. Madurai is well known for its paddy, jasmine, rubber, and other crop cultivation. Industries like tire manufacturer, auto components, textile, granite, and chemicals also drive the economy and trade in this city. Madurai is also a large base for two-wheeler manufacturing in India. 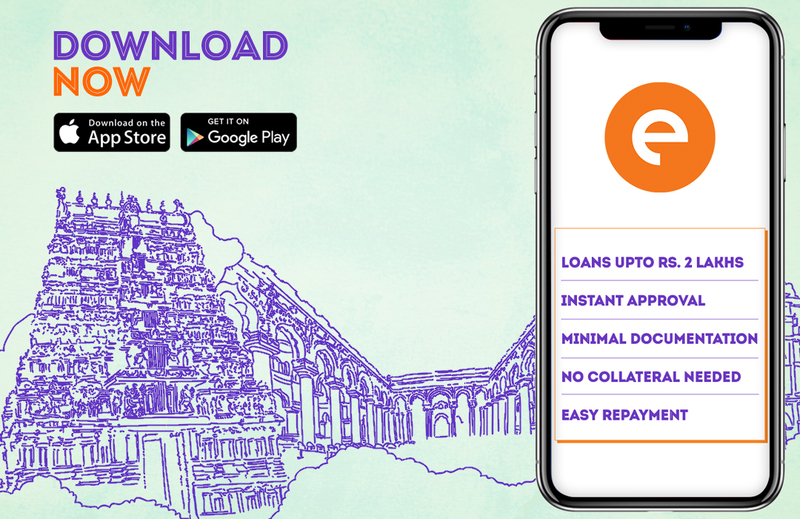 People looking for a personal loan in Madurai can now take an instant loan online. Compared to traditional loans these loans are much easier to avail. The loan procedure is quick and involves less paperwork. Online personal loan in Madurai is slowly getting popular due to its speed and process. • One can apply for a personal loan online via loan apps like CASHe. Once you download the app, you can register yourself with your social media logins. Enter your basic details and complete your profile. Enter the loan amount required as per your needs. You can take a loan ranging from ₹10,000 to ₹1 to 2 lakhs. The duration of the personal loan in Madurai can be 15, 30, 90, 180 & 360 days. The interest rate will depend on the duration of the loan. The app will then ask you to upload your documents. Once you upload your documents, the app will then review your loan request. You can check your loan status on the app. When the loan gets approved, the money is disbursed in your personal savings account within minutes. The documents required to apply for a personal loan are very basic. You will need your identity proof documents like your Aadhar card, Pan Card, Driving license or Passport. For the residential address proof, you can submit your electricity bill or maintenance bill or Passport. You have to be a salaried employee for being eligible for a personal loan in Madurai. Your latest salary slips will be required from your current employer. You will have to submit your bank statement with salary credited. You will have to upload your photo as the photographic proof, apart from all other documents. Loan app will send you alerts before the due date of the repayment. You can repay the personal loan in Madurai via bank transfer or by depositing a cheque.